Today we fished Shasta Lake and the fast morning action was predictable. Started out with some good bites from a smaller grade of trout, but we found some of the bigger fish in the afternoon. Lake temps are still on the rise and you can find fish up high near 30' or as deep as 100'. The deep fish are bigger and are in the best shape due to their cold water environment. The trout are very aggressive and will chase your presenations to the boat if you slow your retreive when pulling lines. 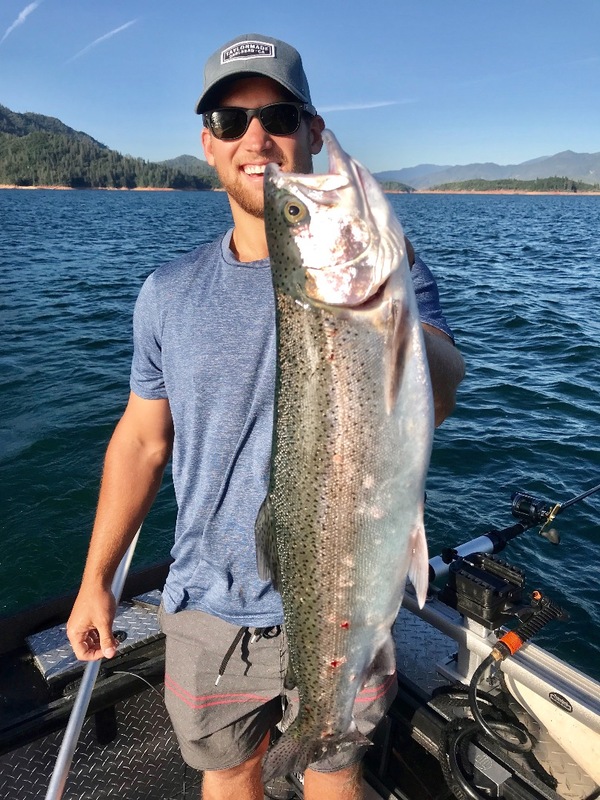 Its "more of the same season" as far as Shasta Lake goes, but I'll keep the coming anyways sharing the latest information and some great fish pics for all to enjoy. Tight Lines! Big Whiskeytown Lake Kokanee are waiting!